As many of you will have read I've been concerned about the attempt by developed countries led by he USA to not fund/ the implementation of the SDGs and FFD within the work of the UN. In the end Im not absolutely sure what was agreed but the SG indicated that adding resources to development had been achieved but at the same time as reducing resources to areas including public information, which presented challenges for the United Nations. UNGA President Mr. Lykketoft (Denmark), said 2016 would be about kick-starting implementation of the “incredible breakthroughs” that the Organization had brought about in 2015, namely the 2030 Agenda and the Paris Climate Agreement. "We must not let the quest for perfection be the enemy of the public good." He was thanking negotiators for the compromises that they had made in the pursuit of the Paris Agreement on climate change. Ban Ki-moon’s statement could equally apply to any analysis of the agreement itself. The deal marks an extraordinary moment in global history. Left unchecked, climate change would be the greatest market failure of all time, the greatest inequality of all time, and it would represent a social catastrophe. Instead, the unprecedented international accord now has the potential to be a game changer in the fight against climate change. I wanted to share with you what I have produced this year and what I already are planning for 2016. This year has been a very productive year. 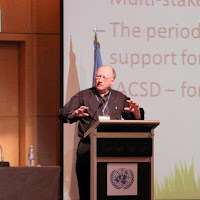 I have tried to comment on today's challenges and opportunities as well as a political commentry on the sustainable development agenda more generally. I enjoy writing and had the opporunity to work with some great people this year. 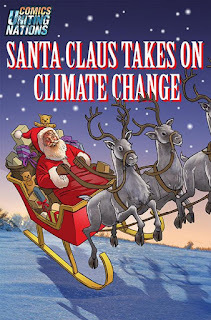 Deutsche Weller radio picked up the story of Santa Claus Takes on Climate Change in their Living Planet broadcast on the 18th of December. This week, the US National Oceanic and Atmospheric Administration confirmed the Arctic experienced record air temperatures and a new low in peak ice extent during 2015. Bad news for iconic Arctic resident, Santa Claus. And his reindeer-drawn sleigh may not be as climate-friendly as you think, according to environmentalist Felix Dodds. You can support the comic here. The full Living Planet post Paris programme can be heard here. It has been a great year for multilateralism with the agreements in Paris on Climate Change, New York on the SDGs and Addis on the Financing for Development. These don’t happen without a huge effort by lots of people. Of course it is always said that the follow up is the most difficult and we know from the 1992 Earth Summit that this is true. There the very comprehensive Agenda 21 was estimated to cost $625 billion a year to implement with $125 billion from developed to developing countries. ODA was in 1992 $56 billion and instead of increasing to $125 billion it fell by 1997 to $52 billion and only got back to $56 billion by 2002. The 1990s were the lost decade which of course in part has contributed to the challenges we now face. 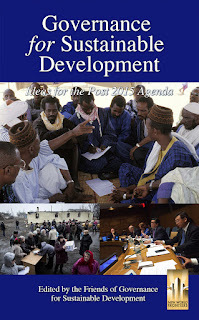 The 2030 Agenda has been costed out by SDSN at $2-$3 billion a year. 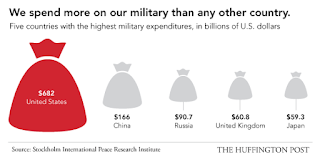 So funding this new 'global agreement' is critical. The governments produced in the end a very good resolution which addresses all the issues that were outstanding and did so in a constructive and forward looking way. to introduce in Nairobi at prepcom 2. Individual local authorities as is normal will have to accredit through their associations and this enable the issue of the Falklands to be put to rest as it will be the responsibility of the associations to ensure any one they accredit abides by the rules. You might be interested in this program by Think Globally Radio which focuses on the life of Maurice Strong. the podcast can be listened to here. 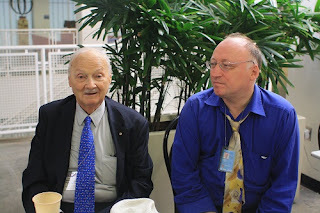 A great book to read about Maurice Strong's Life. The history of the last 40 years on sustainable development a must for any advocate or negotiator. 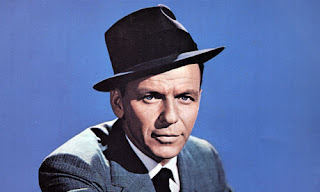 There are stars and then there are legends and in the 20th century Sinatra is one of those whose music will continue to be appreciated throughout the 21st century as other stars fade away. I had the pleasure of hearing Frank Sinatra Jn in concert a few weeks ago as he came to Durham to celebrate the life of Frank's second wife North Carolina born Ava Gardner. I was in New Hampshire and so missed the announcement but this is important for those engaged in the SDG indicator process. The UN Statistical Group IAEG have opened the consultation on the grey indicators here. An open consultation will take place on the proposed SDG Indicators that currently coded as 'grey', indicating that further discussion on them is still needed. The consultation will be open from Wednesday, 9 December to Tuesday, 15 December to both observers (non-IAEG Member States and representatives of regional commissions and regional and international agencies) and other stakeholders (civil society, academia and private sector) for technical comments. Web site here. Terry Waghorn from Katerva interviewed me for Forbes. 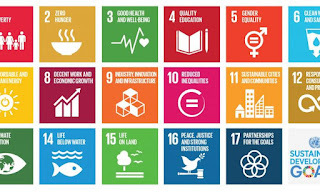 Terry Waghorn: These new Global Goals for Sustainable Development will replace the Millennium Development Goals at the beginning of 2016 – what is the difference between the Global Goals and the Millennium Development Goals and why should we care? Felix Dodds: The Millennium Development Goals (MDGs) were a result of the Millennium Declaration Heads of State agreed to in 2000. 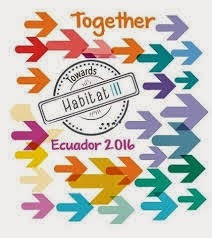 The MDGs were developed afterward by experts and focused action in eight areas only for developing countries. 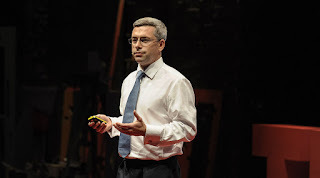 By 2011, it was clearer that in the future there couldn’t be any development which was not sustainable development and that ALL countries needed to redress their development to keep it within what we were now calling planetary boundaries.